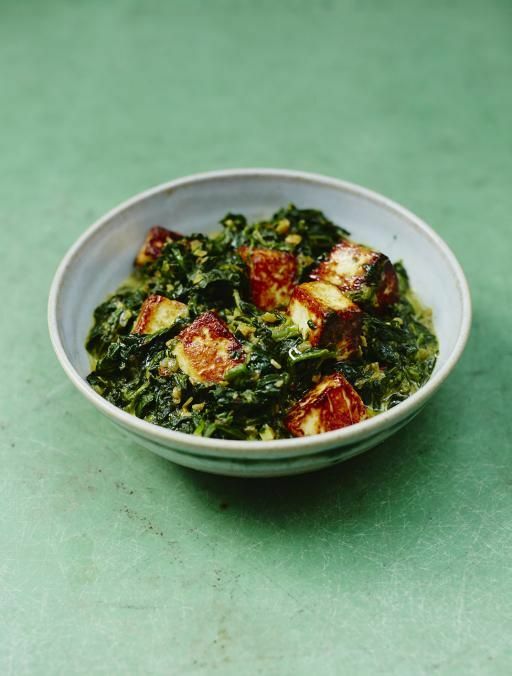 My first introduction to saag paneer was in London. I was with a group of Indian women eating, drinking, and laughing. My presence was evident as I was at least a foot taller than most of them and had bright blonde hair, but we bonded over delicious food and stories. Our lives, struggles, insecurities, and priorities were similar despite our differences. Food has this sort of power. It reminds each of us that we all come hungry and hopefully over a dish we can find everything else we each bring to the table. This recipe for saag paneer should really just be called saag because no paneer is used. I’ve adapted Bon Appetit’s replacement of feta. Purist may find this a cardinal sin, but after they try a bite maybe they’ll change their tune. Maybe. Also, my recipe is heavy on garlic but feel free to scale it down to taste. Typically I serve this dish over cauliflower rice, but naan is always, always, always a good choice. First melt your butter and add in the cardamom and ginger. Add the onion and cook until it slightly brown (5-7 minutes). Then mix in the garlic for another minute. Begin to add in the spinach a couple handfuls at a time. Let each batch wilt before adding in next batch until you’ve wilted all the spinach. Once the spinach has wilted remove the dish from heat and mix in the serrano chile and lime juice. Next, put it all in a blender and mix for one minute until it looks kinda like your breakfast smoothie. It should look like and mix like a paste. Put your mixture back in your skillet and pour in half a cup of water. Mix well and then fold in chunks of feta. Try to allow the chunks not to break. Cook for 7 minutes. Serve with rice or naan. Enjoy!